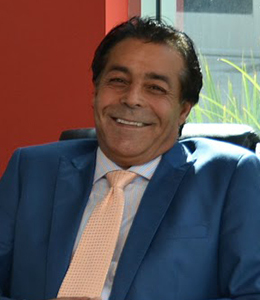 Attorney Ziad Rawashdeh is the founder of the firm. He works tirelessly to bring justice for injured individuals and their families, regardless of the type of injury and damage they suffered, either physical injury at work, other type of accidents, unpaid wages and overtime, or harassment and discrimination at workplace. Mr. Rawashdeh has personally recovered millions of dollars in settlements, verdicts and awards for the firms injured and damaged clients in Los Angeles, Orange, Riverside and San Bernardino County, as well as throughout California. Mr. Rawashdeh has successfully handled cases involving industrial accidents, workplace injuries, construction site accidents, orthopedic and brain injuries, amputations, wrongful death claims, unpaid wages and overtime, harassment and discrimination, and more. Mr. Rawashdeh in addition of being a member of the California Employment Lawyers Association, and California Applicant Attorneys Association. In addition he is admitted to practice before all California State and Federal Courts, he also has an MBA degree and is a Certified Public Accountant.